July is the month of greatness! July was originally named Quintilus, but after Julius Caesar died it was renamed in his honor, as he was born on July 13. 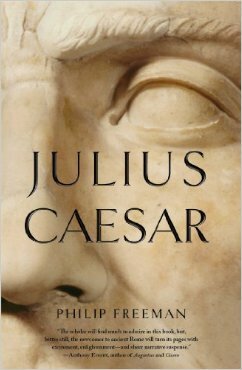 Incidentally, Julius Caesar reformed the Roman calendar to one we essentially still use today, having 365 days and a leap year every fourth year - the Julian Calendar. (The Gregorian calendar is an important but minor reformation of it). Great men, great events, and great nations are born in July. Instead of doing a weekly review, I moved my monthly-wrap up to the end of this week. There is so much interest in one of the new books I featured in June that that post, New Release: Crisis of Character by Gary J. Byrne, made it into my top 5 most read posts. Thank you for reading the blog - I really appreciate it!